Bruno Mars born as Peter Gene Hernandez on 8 October 1985 is a well known singer, song writer, choreographer and instrumentalist. He started creating music at an younger age itself and performed at various venues at his hometown, Honolulu. His father was a Latin percussionist and his mother, Bernardette was a singer as well. 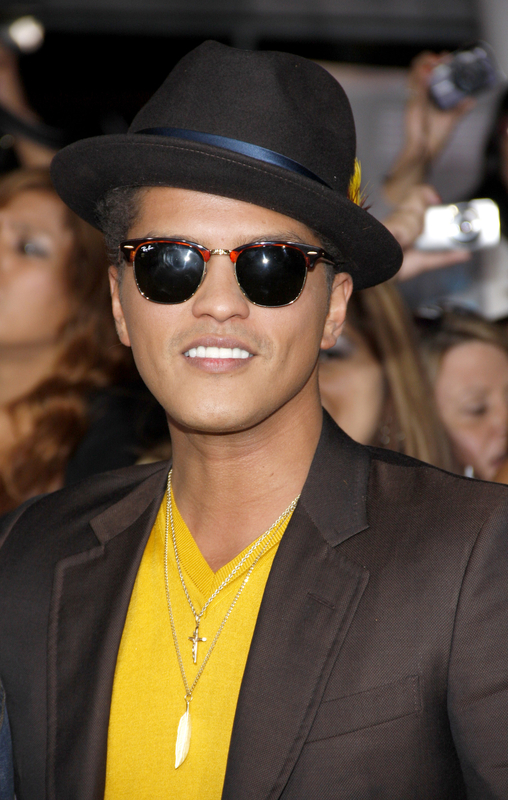 Bruno Mars started writing songs for popular artists such as K'Naan's 'Wavin Flag'. It was the theme song for the 2010 Winter Olympics held at Vancouver. He became one of the most prominent song writers for pop music for a good number of years and in 2010, he came out as a singer with a hit 'Nothin on You'. Since then, he never looked back and some of his popular songs by Mars include Uptown Funk, Locked Out of Heaven and Just the Way You are. After his graduation, Mars went to Los Angeles and the early period was a struggling one for him. It was just a passing a phase and with the release of Nothin on You, he became a star and this song was reached the no.1 spot on the Billboard singles chart. In 2010, he released an album titled 'Doo-Wops & Hooligans and it reached No.3 on Billboard album charts. Many songs in this album including 'Just the Way You are', The 'Lazy Song' and 'Grenade' also recieved overwhelming appreciation. Mars contributed a song to 'The Twilight Saga: Breaking Dawn - Part 1' Sound track in the later part of 2001 and it became one of the hit songs in the US. His second album 'Unorthodox Jukebox' won both commercial success and critical acclaim and the lead single of the album 'Locked Out of Heaven' remained as the top one in the Billboard Hot 100 for 6 consecutive weeks. Another song 'I Was Your Man' won many awards such as MTV Award for Best Choreography and it found a place in top 10 songs in more than 20 countries. Mars's collaboration with musician Mark Ronson led to the creation of 'Uptown Funk' and it won the Grammy Award for the Record of the Year in 2016. Find out Bruno Mars lyrics you love and enjoy! Bruno Mars Donates 1 million Dollars to Flint! ● i love it when you are getti..
● i have seen it in the sign t..
● i say they dond come iyo tim..
● we glorify your holy name wo..
● of tagalog version ng versac..
● fuccbuddy ex battalion a z l..